Richmond, B.C. 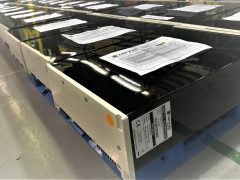 – October 23, 2017 – Corvus Energy is pleased to announce that it has been selected by Wärtsilä as the supplier of a lithium ion based energy storage system (ESS) for the world’s first full service hybrid fish farm processing and transport vessel. 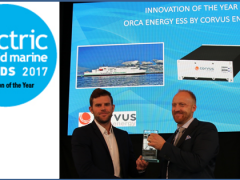 The Orca Energy ESS from Corvus will supply electrical power to the vessels’ propulsion system to enable environmentally-friendly and lower cost operations.